As neighbors, Shanghai and Suzhou make for perfect combination destinations. You will get to learn about the different faces of modern China in Shanghai, while in Suzhou you can experience all the grandeur of the nation&apos;s history through the perspectives of its classic garden culture. 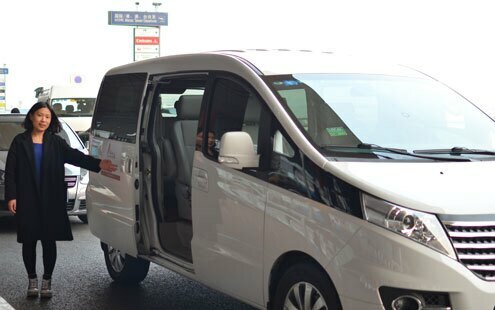 We will greet you at the airport and pick you up and take you to your hotel in the city. From there on out, the rest of the day is at your leisure. 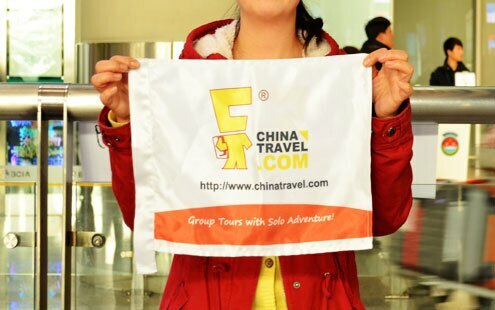 Shanghai has countless visitors&apos; destinations, some of which you will get to see firsthand today. First stop will be Yuyuan Garden found in an older area of the city. 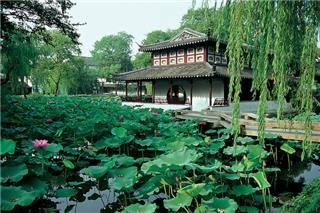 Built in 1559 during the epic Ming Dynasty, this garden is a top example of Chinese gardens in Shanghai. There are many pavilions, rockeries, corridors, and ponds that add to this particular property. Nearby is Yuyuan Market where you can stock up on snacks for the day as well as some souvenirs. After visiting those older areas of Shanghai to learn a bit of the city and China&apos;s history, the rest of your day will be spent gaining a look at the city&apos;s modern side. The Shanghai Urban Planning Exhibition Hall is a unique place where people can take a glimpse into the future of what the powers that be have in mind for Shanghai&apos;s future generations. Continuing on after lunch, your guide will take you to the Shanghai World Financial Center which is an impressive building that includes observation decks, apartments, hotels, restaurants, shopping centers, offices, and much more, almost forming a small town. Conclude your day at leisure at the Bund, a picturesque walkway long the Huangpu River which forms one of the distinctive skyline scenes in Shanghai. 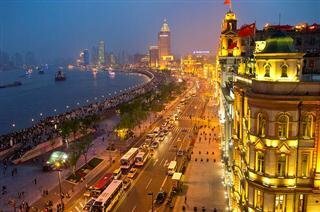 In total, the Bund is 1.5 kilometers long and includes a variety of top restaurants, shops, and bars. In the morning, take the high speed train from Shanghai all the way to Suzhou. Once in Suzhou, we will first take you to the most significant and famous garden in the city - the Humble Administrator’s Garden which is beloved as perhaps the most representative classical Chinese garden in China. Constructed in the Ming Dynasty, the high era of garden culture, this garden pays tribute to all the traditional styles of layout and design, complete with props such as pavilions, terraces, chambers, and towers that make the garden flow with total harmony. Next on your list of stop is Lingering Garden. Here, you will find another strong example of architecture mixed with art combined with natural beauty. It is a compilation of a succession of smaller gardens complete with landscaped grounds, pools, and pavements. Take a walk on its winding walkways and calmly admire all the unique perspectives along the way. After lunch at a local restaurant, you will be taken on a rickshaw ride through the old streets in Suzhou where you will really get to see glimpses into the lives of the local people. About half an hour from Suzhou is another world altogether. 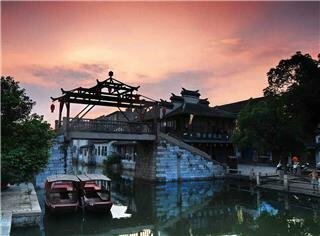 Vastly different from the busy city, Tongli is a town with more than 1,000 years of history on its belt and a rustic atmosphere that takes visitors back in time. Known as the "Venice of the East", Tongli has hundreds of gardens hailing from the Ming and Qing Dynasties, not to mention temples and the former homes of aristocrats scattered throughout the pieces of land cut by miles upon miles of water canals. 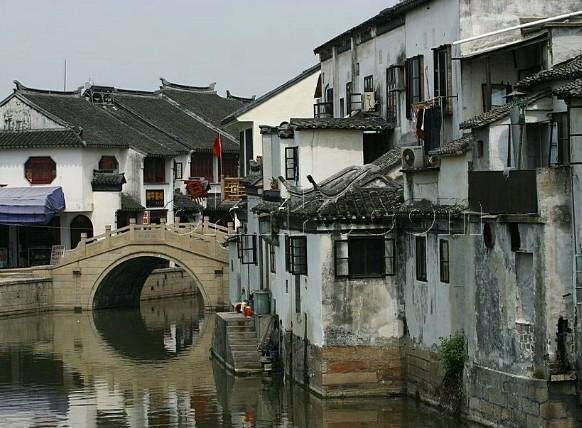 There are a total of 15 rivers that divide the town into 7 islands, and 49 ancient bridges unite Tongli into a single unit. Of course, your tour today will include a cruise along the famous waterways as your guide explains the different sites along the way. Experience China&apos;s futuristic fast speed train network once more on your journey back to Shanghai. On arrival, we can take you back to your hotel or to the destination for your outbound journey.